These are great quality easels from the same manufacturer as the Winsor & Newton Shannon easel. 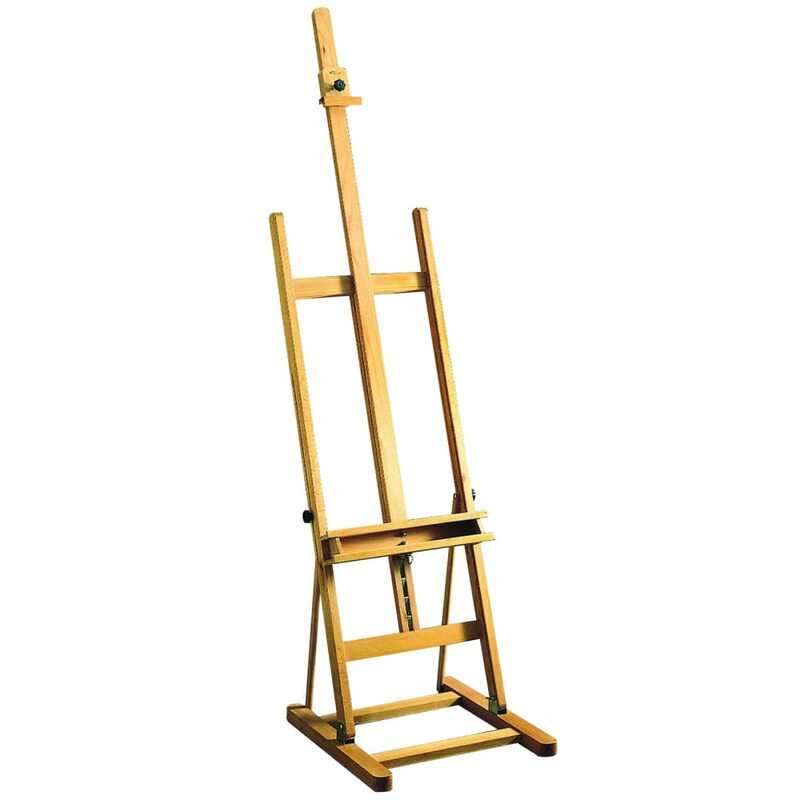 The Tiber studio easel is a sturdy 9.3kg H frame stand with adjustable recline angle and has been manufactured from seasoned oiled beechwood and is held together with solid metal fittings to ensure durability and stability. The easel will hold a maximum canvas of 134cm and the overall height is 264cm x width 52cm x depth 57cm. The handy tray and canvas support is suitable for holding brushes and paint tubes. A bit about the brand: Established in 1991, Crafty Arts is a leading online retailer of Arts, Crafts, Toys, Games and Hobby materials.